The child born first to parents is always special…. 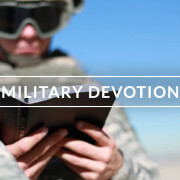 Those serving in the military or living overseas for another reason can sign for the Ministry By Mail program to receive Meditations devotional booklets, printed worship services, and e-mail support. Is something troubling you? Take it to the Lord in prayer. If you need some inspiration, view the prayers in the topical index on the left to help you get started. Want to learn more your Savior and the Bible? Visit the What About Jesus website to learn about Jesus, the Bible, and your Christian life. Subscribe to have the Daily Devotions and Bible readings delivered to your inbox. Download the WELS App to get the latest from WELS right at your fingertips wherever you are. Missed a day? Browse the archive, which has several months' worth of devotions to uplift and encourage you with the Word.